I went to great comical lengths to swipe this spinner from the air with a little aquarium net I carry with me while I'm fishing. Siphloplecton basale spinners fly fast and high over the riffles, and there are never very many of them, so they're difficult to catch. 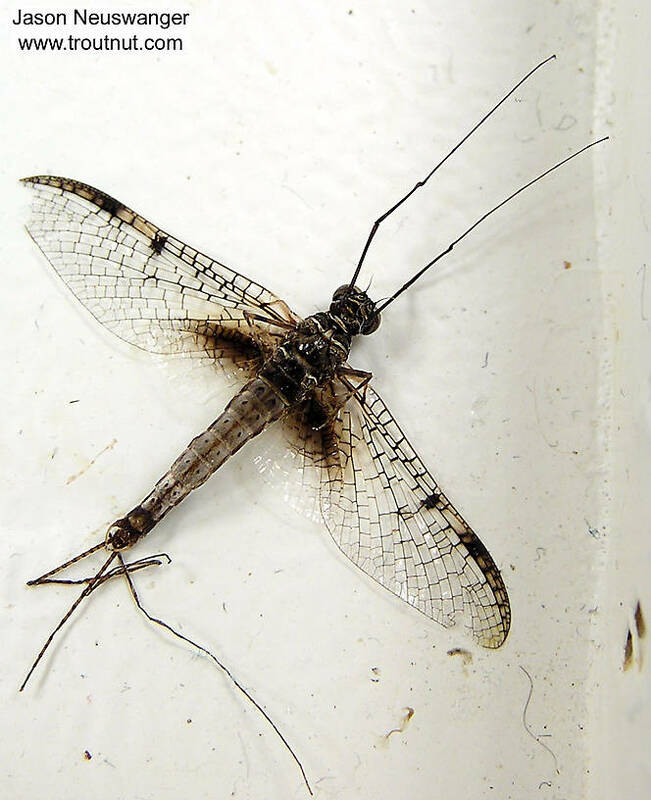 This mayfly was collected from the Namekagon River on May 8th, 2004 and added to Troutnut.com on January 25th, 2006. This picture very understandably confused one reader into thinking Siphloplecton has three tails, but it only has two. 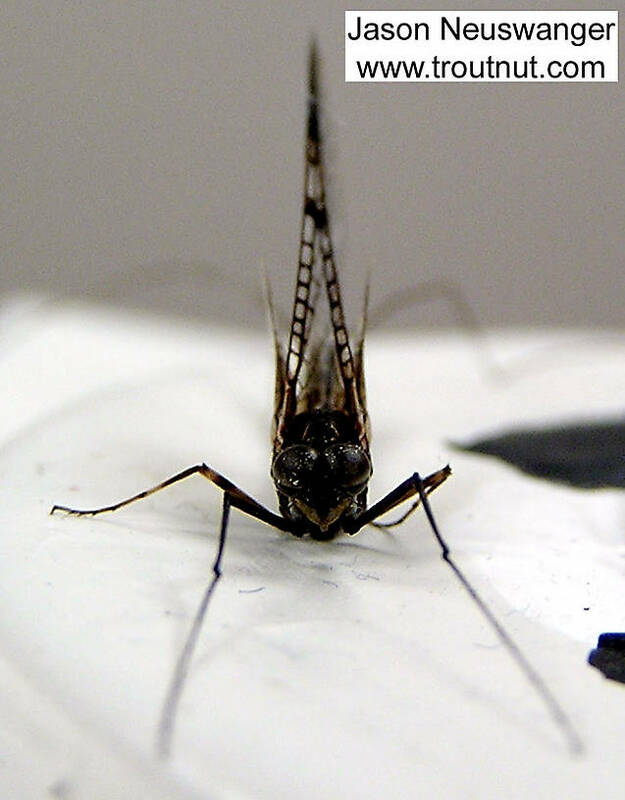 In this one, the "tail" on the right is a very unfortunately placed, tail-looking piece of debris, but if you look closely you can see it doesn't actually link up with the abdomen.